Put a ring on it! 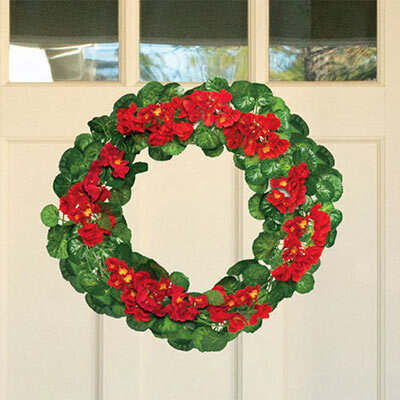 Adorn your door with this all-weather polyester geranium wreath featuring bold, bright red geraniums and delicate white blooms on a background of rich green foliage. Perfect for covered entryways, it provides years of beauty with proper care. Includes loop hanger on back. 14" dia. Hurry! Quantities are limited!